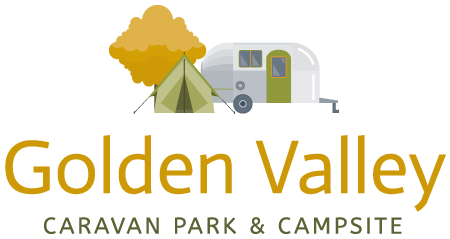 New to Golden Valley Caravan Park is our wooden Barrel Pods situated onsite amongst our woodland surroundings. 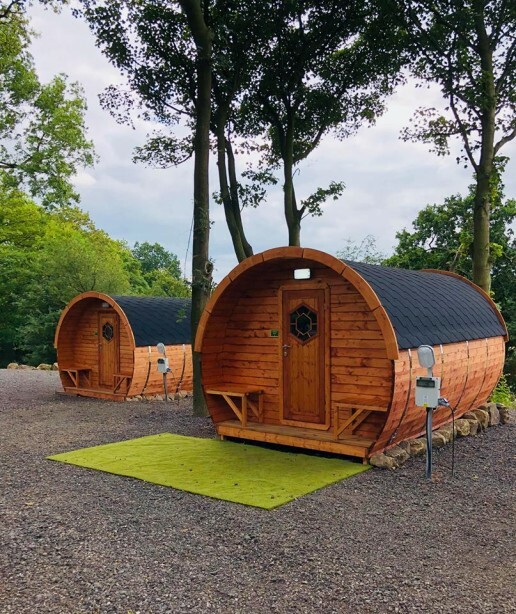 These beautiful wooden barrel camping pods are the latest continental style units to hit the UK glamping scene. They are located within a secluded area on our family friendly caravan and camping park surrounded by mature trees, with open countryside views. Each pod can accommodate between 2-4 people they are set up with fixed beds and matresses’, blinds, lockable doors and all have electric. All of which will make your stay more comfortable to enjoy the sense of camping but without the effort. They are a perfect way to rest and relax for all ages and a great base to explore the whole site and local attractions. 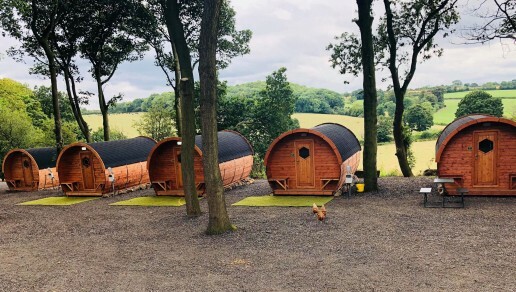 Your stay in a barrel pod is a bit of luxury enabling you to enjoy all aspects of camping; embracing the beautiful surroundings, quality time with family or friends, fresh air, the soothing sound of nature and rain without getting too close to the creepy-crawlies and the cold nights. There is a picnic bench outside to enjoy the great outdoors and parking is available for 1 car. Unfortunately we cannot allow dogs or open flames in the camping pod. BBQs are permitted around the pod and we supply bricks for the BBQs to be placed on. Strictly NO smoking inside the pod. During low season, including February half term.